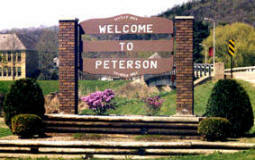 Do you have photos, historical accounts or other items pertaining to the Peterson area? Would you like to share this historical information with the world? 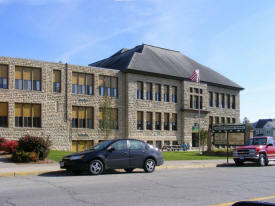 LakesnWoods.com would like to publish your Peterson photos (current or historical) or historical accounts on this website. Original materials can be returned and your privacy will be respected. 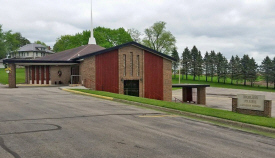 Nestled in the bluffs of southeastern Minnesota, just off scenic Minnesota State Highway 16, you will find the friendly, small community of Peterson. The Root River State Hiking & Biking Trail passes through the city, and a quiet, family-oriented campground is located adjacent to the trail. 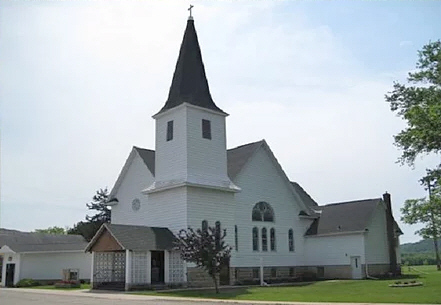 Peterson is a city in Fillmore County, Minnesota. According to the United States Census Bureau, the city has a total area of 0.51 square miles (1.31 km²), of which, 0.49 square miles (1.27 km²) of it is land and 0.02 square miles (0.05 km²) of it is water. County Road 29 is a major route in the city and State Highway 16 is nearby. The elevation is 761 ft (232 m) above sea level. As of the census of 2010, there were 199 people, 97 households, and 60 families residing in the city. The population density was 406.1 inhabitants per square mile (156.8/km2). There were 108 housing units at an average density of 220.4 per square mile (85.1/km2). The racial makeup of the city was 99.5% White and 0.5% Native American. Hispanic or Latino of any race were 1.0% of the population. There were 97 households of which 19.6% had children under the age of 18 living with them, 51.5% were married couples living together, 8.2% had a female householder with no husband present, 2.1% had a male householder with no wife present, and 38.1% were non-families. 35.1% of all households were made up of individuals and 16.5% had someone living alone who was 65 years of age or older. The average household size was 2.05 and the average family size was 2.63. The median age in the city was 50.4 years. 16.6% of residents were under the age of 18; 6.9% were between the ages of 18 and 24; 19% were from 25 to 44; 32.1% were from 45 to 64; and 25.1% were 65 years of age or older. The gender makeup of the city was 49.7% male and 50.3% female. In the year 1853, Peter Peterson Haslerud purchased and platted the village site of Peterson and was the major force behind its early growth and development. The community was named after him. After buying the land and platting the town, he was elected to the Minnesota State Legislature, served in several appointed positions and in 1856 was appointed by the Governor of Minnesota as Immigration officer for the 14th District of Minnesota. 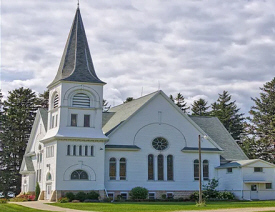 Peter was instrumental in bringing the railroad through Rushford Township in 1867 and he gave the railroad company fifteen acres of land and along with other citizens contributed $800. to secure a station and warehouse at Peterson. 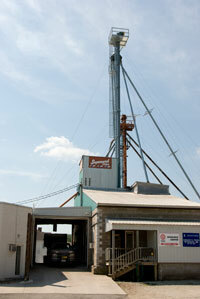 Peter began buying wheat from local farmers and shipping it back to the eastern part of the U.S. 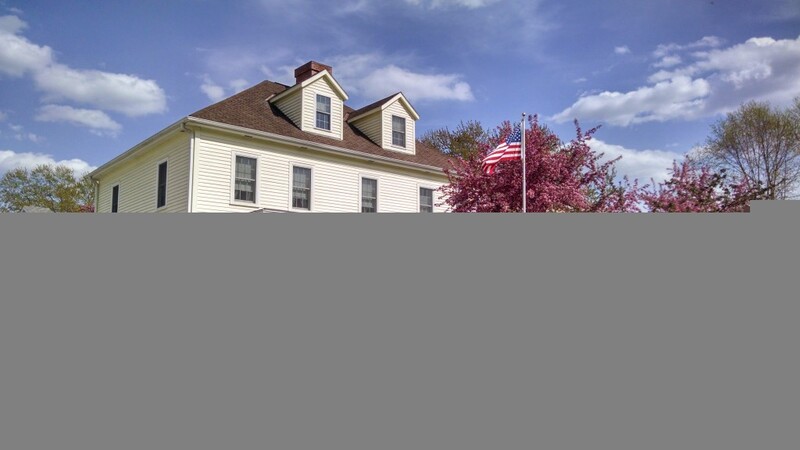 In 1870, a post office was established in Peterson and Even A. Hjelie was appointed first postmaster. 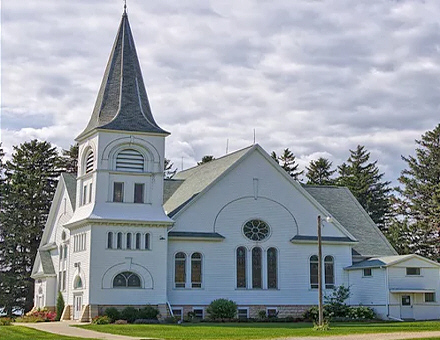 In 1871, Peter Peterson Haslerud developed a "trout farm" on his property outside Peterson and continued to expand the boundaries of the town. In 1873, Ole Ensberg started a blacksmith shop and in 1874 an additional quarter section of land was laid out into lots and added to the village of Peterson. In 1875, two general stores, a hardware store, and a drug store were established. In 1875, the telegraph was installed at the railroad station and G.P. Haslerud (Peter Peterson Haslerud's oldest son) was appointed agent. Also in that year fifteen additional acres were platted and Prospect Park, Mill, Centennial, Fillmore, Church, and Myrtle Streets were named. In 1876, a mill was built with farmers living in the surrounding areas subscribing most of the stock. A livery barn, a steam mill, the Peterson Hotel, the Northwestern Bar and other small businesses opened for business. 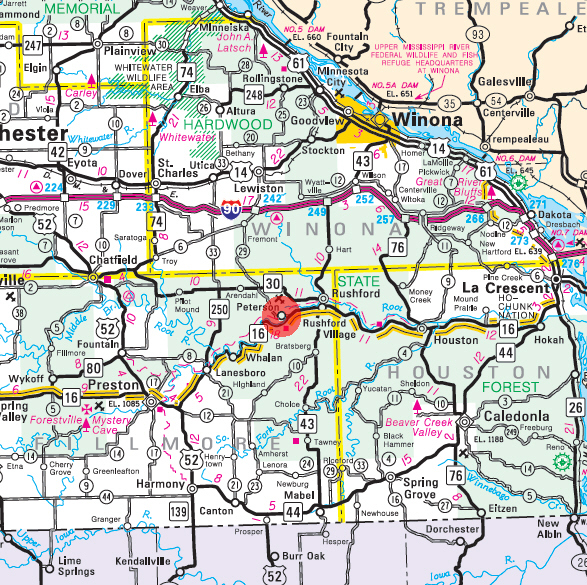 "An unincorporated village of 100 inhabitants in Rushford Township, northeastern part of Fillmore County, and a station on the Southern Minnesota Railroad, 25 miles from Preston and 120 miles from Minneapolis. It is situated on the Root Rover which furnishes power to a flour mill at this point. A steam flour mill is also in operation in the village and there is a Lutheran church and district school. The exports are flour and wheat. Modes of communication are: Western Union Telegraph, American Express, two stages semi-weekly from Pilot Mound to Peterson via Arendahl and daily mail service." Peterson was organized as a village in 1909. 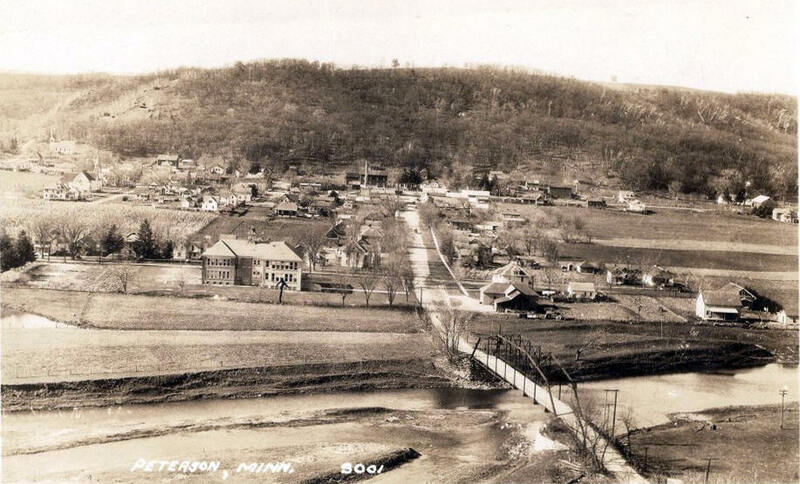 PETERSON, a city in Rushford Township, sections 19, 29 and 30, was founded in 1867, when the railway was built, on land donated for this use by Peter Peterson Haslerud, who settled here in July 1853. It was incorporated in April 20, 1909. He was born in Norway, July 21, 1828; came to the United States in 1843; was a representative in the legislature, 1862; died September 23, 1880. 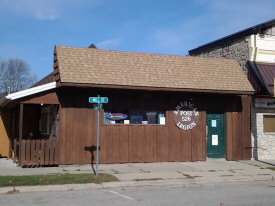 The first post office, 1855-62, with Knud Peterson, postmaster, transferred to Windom; the current post office began in 1870. The city had a station of the Chicago, Milwaukee, St. Paul and Pacific Railroad. 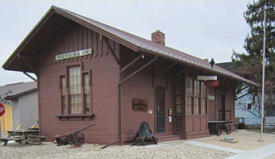 Nearly 100 years after Peterson Station opened to serve Southern Minnesota Railroad customers, it welcomed the public again in 1974 – this time as a museum. 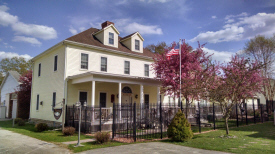 Today, visitors can explore the area’s past through historical memorabilia, photographs, and artifacts, or learn more about their family’s history in the area at the genealogy center. Biking, Hiking, Canoeing, Tubing, Hunting, Fishing, and much more are available here. 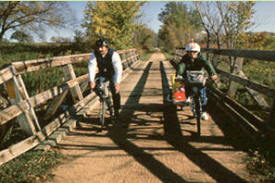 The Root River State Bike Trail passes directly through Peterson. With over 30 miles of beautiful natural surroundings this trail is stunning year-round.. Traveling on the trail you can see white tailed deer, wild turkey, bald eagles, and much more. 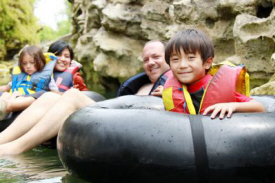 You may choose to take a canoe or tube down the lazy Root River for a more relaxing trip through nature. Canoes, kayaks, tubes, and bikes are available for rent. 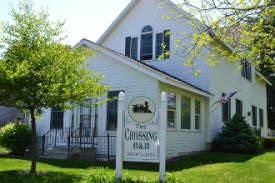 Located at the original site of the 1877 Peterson Train Depot along the Root River Trail, The Crossing is a modern, well-appointed bed & breakfast built in 1999. It is decorated in Victorian style with train accents. Come to The Crossing for a refreshing respite, a quiet interlude from the hustle and bustle of your day’s activities. Ask us about receiving FREE complimentary tickets to golf at Ferndale Country Club Monday through Friday. 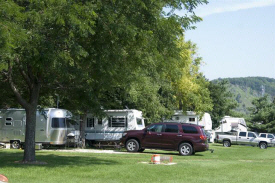 Peterson’s RV Campground is located next to the Root River Bike Trail and just a few blocks from the Root River. Each of the 9 sites has full electric, water and sewer hookups, picnic table & fire ring. You and your children will enjoy the large park and playground. Rent the picnic pavilion and/or the lighted softball field for large gatherings. Wake up to the sounds of birds and wildlife! Then walk to breakfast at Burdey's Cafe with a delightful menu and prices. Relax in our peaceful town or plan an active day! Bar is open 7 days a week. Pizza, hot sandwiches, snacks, free popcorn. Off Sale available. Pool table, games, Wi-Fi, ATM. Park area. Open to the public. Visit & enjoy our Veterans Memorial Park just off the Root River bike trail in scenic Peterson, MN. Take a break at one of our two shelters or come in and enjoy the club room. Pool & darts, pull tabs, Heggies pizza, garlic cheese bread, assorted snacks & hot sandwiches plus your favorite cold beverages. On and Off Sale, free Wi-Fi and ATM available on site. We are 2nd , 3rd, and 4th generation Appaloosa & Quarter horse breeders. We have continued the breeding program of Sylvia's father, Gordon Cox, who was one of the first Appaloosa breeders in the state of Minnesota. We breed for quality in conformation, disposition and color. 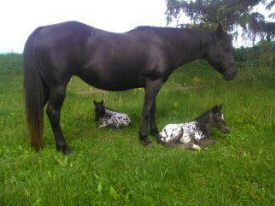 Our horses are imprinted as foals, ready to go on and make a marvelous performance partner. Burdey's Cafe, owned by Steven and Kristin Burdey, is located in beautiful Peterson, MN, right off of the Root River Trail. Featuring Daily lunch specials, homemade soups and pies, and a delicious variety of reasonably-priced breakfasts and lunches. The Peterson Hatchery produces Lake Trout and Splake Trout annually for Minnesota's Cold Water Trout Program. Our trout are stocked into cold, deep water lakes throughout northern Minnesota near the towns of Hinckley, Grand Rapids, International Falls, Tower and Grand Marais. Fish are stocked as 4" fingerlings in fall and as 8" yearlings. Peterson Hatchery also maintains a captive lake trout brood stock, which provide eggs for each years fish production. 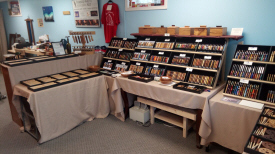 Quality writing instruments and unique gift items in exotic and domestic woods and acrylic. Call or message to set up a meeting or find out shop hours. 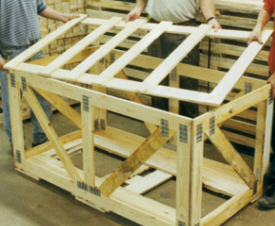 UPI specializes in the design, testing, high volume manufacturing and distribution of industrial packaging products serving the lawn and garden, appliance, window and door, recreational vehicle and OEM industries. We service our customers from large manufacturing plants located in Peterson, Minnesota, Windom, Minnesota, Reedsville, Wisconsin, Fond du Lac, Wisconsin and Tomah, Wisconsin.